252 pages | 11 B/W Illus. Group psychotherapy in college counseling centers continues to thrive as a popular approach to working with college students, and yet there continues to be a lack of up-to-date, comprehensive resources for group psychotherapists working with this unique population. The College Counselor’s Guide to Group Psychotherapy highlights the role of the group therapist within college counseling centers; provides practical, step-by-step instructions for creating a thriving group program and culture; and unveils some of the opportunities to expand this under-recognized practice setting. This exciting new volume draws on the most current knowledge on group psychotherapy while paying particular attention to issues and ethical dilemmas that are unique to working with college students. "This book provides a comprehensive overview of group work at college counseling centers. This group of talented, committed, and enthusiastic practitioners recognize and delineate the complex, interlocking ways in which group members and practitioners are embedded in, formed by, and act upon their environments—from the level of the group, to the university, to the larger communities, countries, and world of which they are a part. They also show how this impacts and can be utilized in therapeutic work. I consider this essential reading for any group therapist in the field of college counseling." Anne M. Slocum McEneaney, PhD, diplomate, American Board of Professional Psychology, certified group psychotherapist, fellow, American Group Psychotherapy Association. 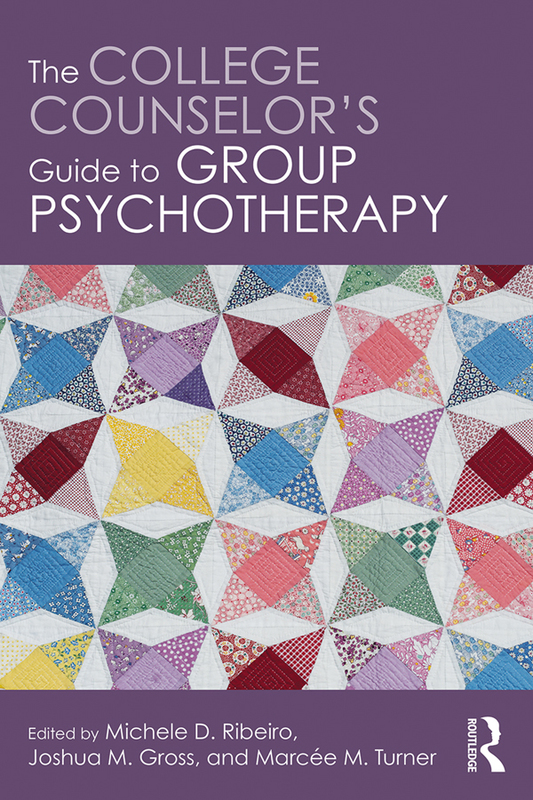 "A great blend of evidence-based research and clinical application, The College Counselor’s Guide to Group Psychotherapy equips group therapists with timely, relevant, and engaging material. Broad in scope, this guide promotes a critical lens of inclusivity for today’s diverse identities as a crucial component of professional practice that is compelling and useful." "The College Counselor’s Guide to Group Psychotherapy fills a much-needed gap in the counselling literature as it provides a comprehensive and practical guide for conducting groups in a counselling center. The chapters cover wide-ranging topics by leaders in the field to help counsellors effectively manage issues they will face on a day-to-day basis: from individual and systemic issues related to starting-up groups, to cultural and racial sensitivities, to knowing the evidence base, training, co-therapy, and psychoeducational approaches. It is a volume that those who practice group counselling should have in their collection as a useful reference. "The College Counselor’s Guide to Group Psychotherapy should be mandatory reading for all college and university counseling centers. Groups are often the ideal mode of treatment for students, allowing them to address not only the content of their concerns but also interpersonal dynamics that commonly emerge in young adults. Additionally, as counseling centers face challenges in meeting the demands for services, offering groups can create more accessibility to longer treatment. This books provides practical advice for getting a group therapy program off the ground and integrated into campus culture." Michele D. Ribeiro, EdD, CGP, is a licensed psychologist and certified group psychotherapist at Oregon State University’s Counseling and Psychological Services. She serves on the American Group Psychotherapy Association’s Annual Conference Committee and on the board of the American Psychological Association’s Division 49, the Society of Group Psychology and Group Psychotherapy. She has received two Bringing Theory to Practice Wellbeing grants through the S. Englehard Center in partnership with the American Association of Colleges and Universities. Joshua M. Gross, PhD, ABPP, CGP, serves as director of group programs at the University Counseling Center at Florida State University. He is fellow of the American Group Psychotherapy Association and the American Board of Group Psychology. He serves on the Board of Directors of the International Board for the Certification of Group Psychotherapy and is treasurer of the Capital Chapter of the Florida Psychological Association. He was named as distinguished psychologist by Florida Psychological Association in 2003. Marcée M. Turner, PhD, is a psychologist at the University Counseling Center at Florida State University. Dr. Turner is also a tri-chair of the Racial & Ethnic Diversity (RED) Special Interest Group (SIG) of the American Group Psychotherapy Association.